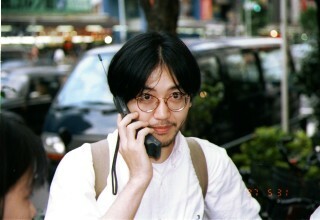 Senior technical advisor at Lepidum inc.
Jun-ichiro Hagino was born 1970 as Jun-ichiro Itoh, in Tokyo Japan. He is often called "itojun" for short. He has been playing (or, "hacking" --- please do not misundrestand, "hacking" and "cracking" are DIFFERENT) with computers since his elementary school days. His interest into the computers got deeper when he got the first modem, and get hooked up to the computer network, in his highschool days. Since then, he is famous for creating free softwares, for both DOS and UNIX systems. His main topic at this moment is IPv6 and IPsec. He was a core researcher at KAME Project, which aimed to provide IPv6 and IPsec technology in freely redistributable form. He has been doing research and development in operating systems, networking and multilingual processing domain. He is interested in deploying the ideas of "free software" and free BSD UNIX variants to public. He was awarded an "1996 JSSST Takahashi Award" for his paper titled "Implementing IPv6 protocol stack onto the Apertos operating system". August 15, 2007-: Senior techical advisor at Lepidum Inc.
April 1, 2003-September 30, 2007: Senior Researcher at Research Laboratory, Internet Initiative Japan Inc.
April 1, 1998-: Researcher at Research Laboratory, Internet Initiative Japan Inc.
April 1995-Winter 1996: Internetworking consultant at Nissan Motors Co.
1995: installation of secure (firewalled) internet environment in various department in Nissan Motors Co. Favorite languages: C with POSIX libraries, C in BSD UNIX kernel, and perl. Released and supporting massive number of free softwares: for DOS, Macintosh and BSDish UNIXes. Over 20-years experience on programming intel ix86 processors. Over 15-years experience on UNIX and Internetworking. Over 14-years experience on programming in perl. Over 4-years experience on programming in C++. Over 4-years experience on programming MIPS R3000/4000. Experiences in Pascal, Common Lisp, Scheme, Prolog, Basic:-) Z80, 6809, 6502, PDP-11, etc.